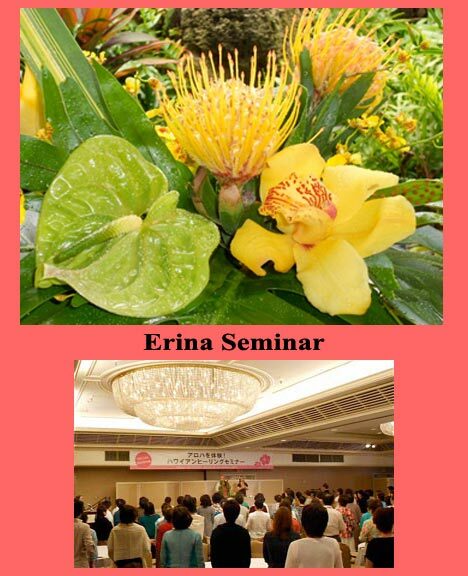 Over 450 representatives of the Japan based cosmetics firm Erina Co, gathered at the Hyatt Regency Waikiki to hear Kahu Silva share his kahuna teachings as the seminar’s guest speaker. In keeping with Hawaiian cultural protocol, Kahu entered the assembly with the offering a ceremonial “oli aloha” chant to greet Erina’s honored guests. 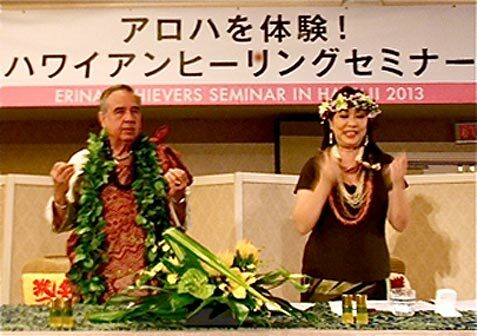 His overall presentation focused on the basic tenets of his kahuna teachings, the power of “mana,” a powerful non-physical form of energy, and its importance in traditional Hawaiian spiritual healing techniques. Highlighting the event was Kahu’s sharing of an ancient kahuna HA ritual used to achieve harmony, balance and peace before beginning a hands on demonstration of traditional Hawaiian lomilomi (massage technique and therapy) using Erina products which contain natural ingredients that promote healing and health.